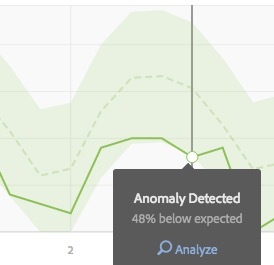 One of the great things about Analysis Workspace is that it begs you to keep driving deeper and deeper into analysis in ways that the traditional Adobe Analytics reports do not. I have heard Ben Gaines talk about this as one of the reasons he loves Workspace so much and he is spot on. Ever since it burst onto the scenes, those who understand Adobe Analytics have realized that it represented the future of the product. 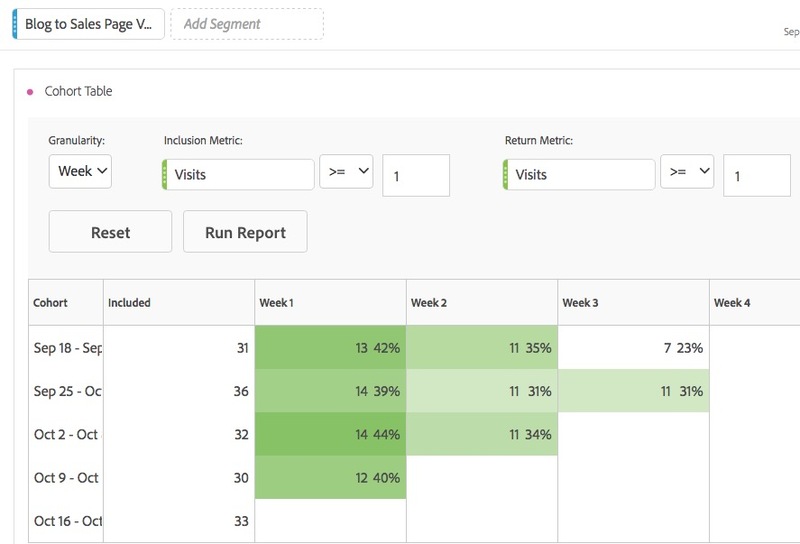 The only thing holding it back was the fact that some key types of reports were unavailable, forcing users to continue to use the traditional Adobe Analytics reports. While this may not seem like such a big deal, let me tell you why it is a huge deal. I believe that these additions represent the tipping point in which Adobe Analytics end-users give in and decide that Analysis Workspace is their primary reporting interface. While I have seen some of my clients dive head first into Analysis Workspace, I have also seen many of my clients “dip their toe in the water” with Analysis Workspace, but fall back to their comfort zone of traditional reports. It is my contention that this will no longer be possible and that Analysis Workspace will become the default going forward. Of course, this will take some time to learn the new interface, but the advantages are so compelling at this point, that those not making the shift will risk becoming Adobe Analytics dinosaurs. To illustrate why I think this will happen, I am going to demonstrate the power of Analysis Workspace in the following section. In my opinion, the intrinsic value of Analysis Workspace, like Discover before it, is the ability to come up with an analysis idea and be able to follow it through like a stream of consciousness. As an analyst, you want to be able to ask a question and then when you find the answer, ask a follow-up question and so on. 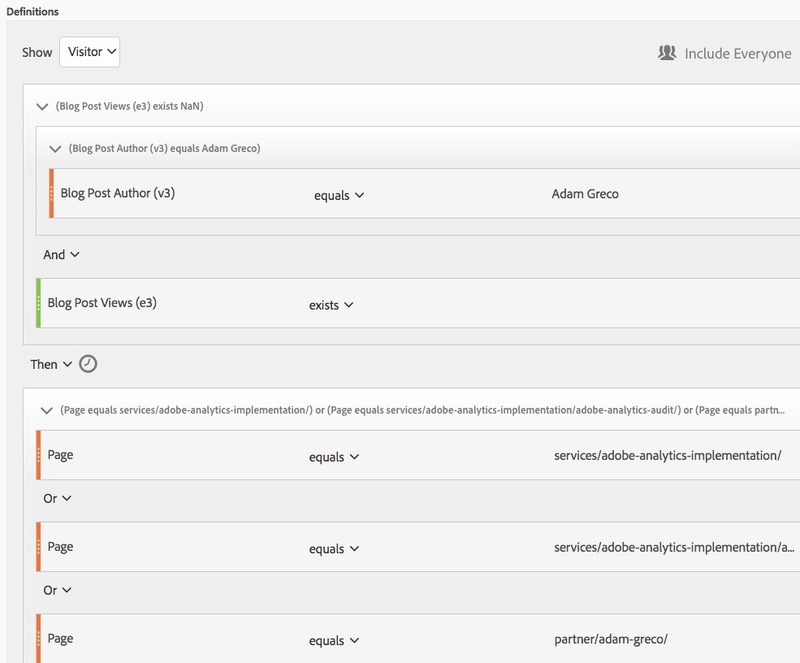 In the traditional Adobe Analytics reports, there are a few cases in which you can break a report down by another, but it is somewhat limited. This limitation can break your train of thought and instead of asking the next question, you end up spending time thinking about how you need to work around the tool or, worse yet, add more implementation items to answer your follow-up question. For example, let’s say that I want to see which products had the most orders this month. I can open the Products report and add the Orders metric. Then I want to see which campaigns drove the highest selling product, so I break the product down by campaign tracking code. Next I want to see the trend of that campaign code leading to orders of that product. At this point, I am a bit stuck since I need to build a segment and apply it to a Visits report. But to do this, I need to stop what I am doing, identify the correct segment definition, save it, open up a Visits report and apply the segment. Next I might want to see if there were any abnormal peaks or valleys in the data, so I might export the data to Excel and run a standard deviation formula against it for the last few months. This involves exporting data and making sure I have the formulas correct in Excel. What if I want to repeat this analysis on a weekly basis going forward? That means I need to open up Adobe ReportBuilder, make a data block, use formulas to apply the standard deviation and then schedule it to be sent weekly. As you can see, there are a lot of manual steps involving Adobe Analytics, Excel, ReportBuilder, etc. At any point in this process, the phone could ring and I could get distracted and lose my train of thought. In the best case scenario, I am looking at a few hours to follow my concept through to analysis. What Analysis Workspace does is two-fold. First, pretty much everything you need is built into the same tool so you don’t have to jump between different tools. Second, most of the things you need are one click away and can be done so fast that sometimes it feels like you are slowing down the tool instead of the other way around! To illustrate this, I am going to build upon an example scenario that I blogged about last week. 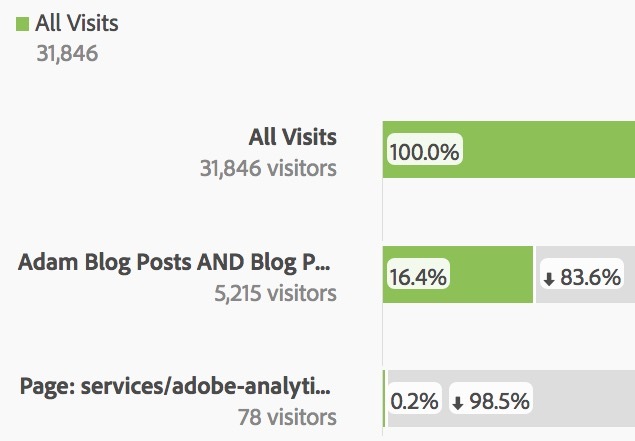 In that post, I described a situation in which I used the new Analysis Workspace Fallout report visualization to see what percent of visits to my website viewed my blog posts and of those how many found their way to some of my “sales pages. If you haven’t read that post, I suggest you take a few minutes and read that post now to have more context for what follows. Phew! Now, I purposely went a bit crazy there, but was to drive home the point. While you may not go through things exactly the way I just did, the cool part is that you can! You can easily keep adding visualizations and right-clicking to create sub-reports and segments (and I didn’t even hit all of the other visualizations that can be used as well!). At no point did I have to leave Adobe Analytics and use other tools and I was able to run all of these reports in under ten minutes! How did you create mixed dimensions report in Workspace? We tried to do this but unsuccessfully.